While many sites can be improved and have their issues (including our own), this is one of my new favorites. Here we have a site that was probably expensive to build (Pine-Sol is part of the Clorox conglomerate), but still does not appear to be helping a company reach it's goals. 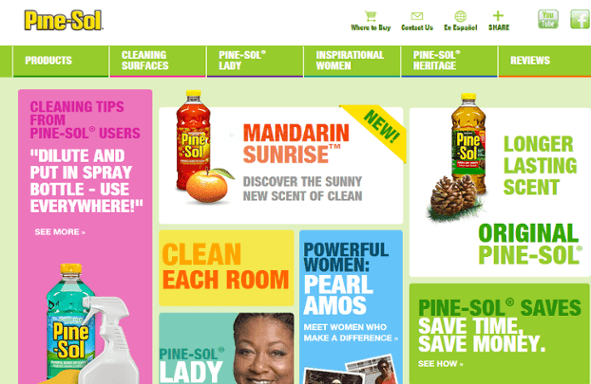 The Pine-Sol website seems to be trying to speak to everyone and everything - on the home page alone. I came away with a lot of cognitive dissonance after viewing this website. There are a number of areas in which this website can improve, but the most crippling area for this website is content. Sadly, this is not an uncommon problem for websites. Below are a few of the most common reasons your content content could be killing your website. 1. You aren’t clear on how you are helping your customer. You know what your company does because you see it every day, but your user is likely seeing your company for the first time through your website. You have less than 10 seconds to tell him how you can improve his life before he bounces to your competitor’s website. 2. You use company language instead of customer language. Your customer is likely not as familiar with your industry as you are or you think they are. Do not bombard him with industry jargon. They will not understand how you can help and will quickly tune out to your message. 3. Your user isn't sure what to do next. Even if you've created a homepage that is intriguing to your customer you still may lose them if they aren't sure what to do next. Visiting Pine-Sol’s site as a user, I felt it took me too long to be able to buy their product. Make sure you know what you want your customer to do and use the tools such as navigation or CTAs to help direct. 4. You have no interesting offers. You gave your customer clear options on what to do, now you need to give him a reason why he should do it. The offers you provide on your website must be compelling enough to keep the customer interested. Many a website has not been able to achieve its potential because it lacked substantive advanced content. 5. You rely on images that are vague or pointless. We all love a nice beautiful hero image, but if that image does not clearly convey a message it is taking up very valuable real estate. The same goes for imagery anywhere on your site. If it is not helping you customer understand what you do and why they should buy from you it is wasted space. 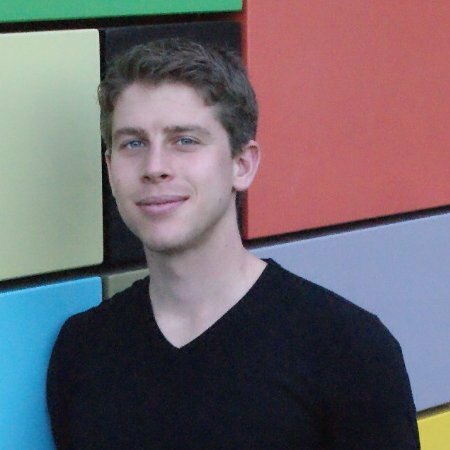 When you build a website, consider you content first. Come up with a plan that makes sense for your brand, goals, and user needs. While this plan is often skipped, ignored, or forgotten, there is nothing more essential to the website’s success.